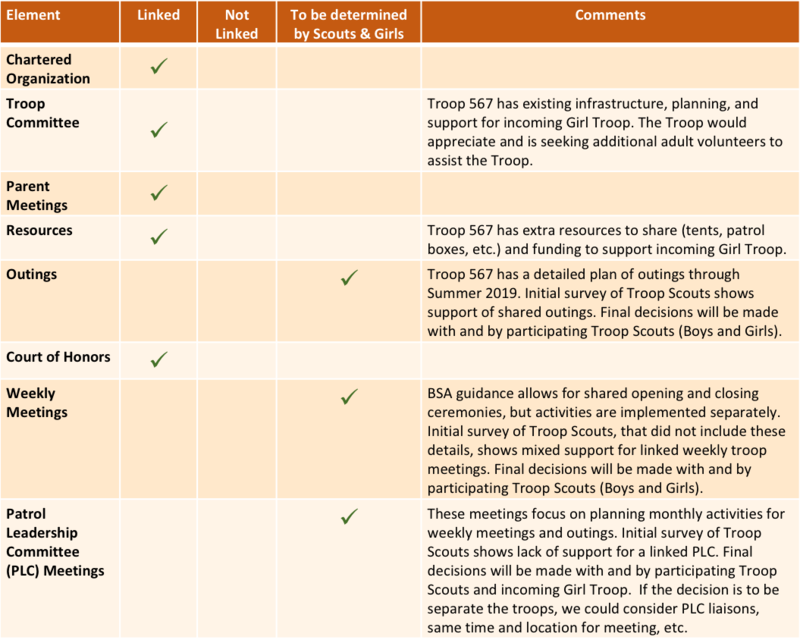 Troop 567 is a linked troop and welcomes all Scouts. Being a Scout-run troop, we will rely on our Scout leaders and the patrol method to determine the best path for the troop in this latest adventure in Scouting. Interested in finding out more about Family Scouting?